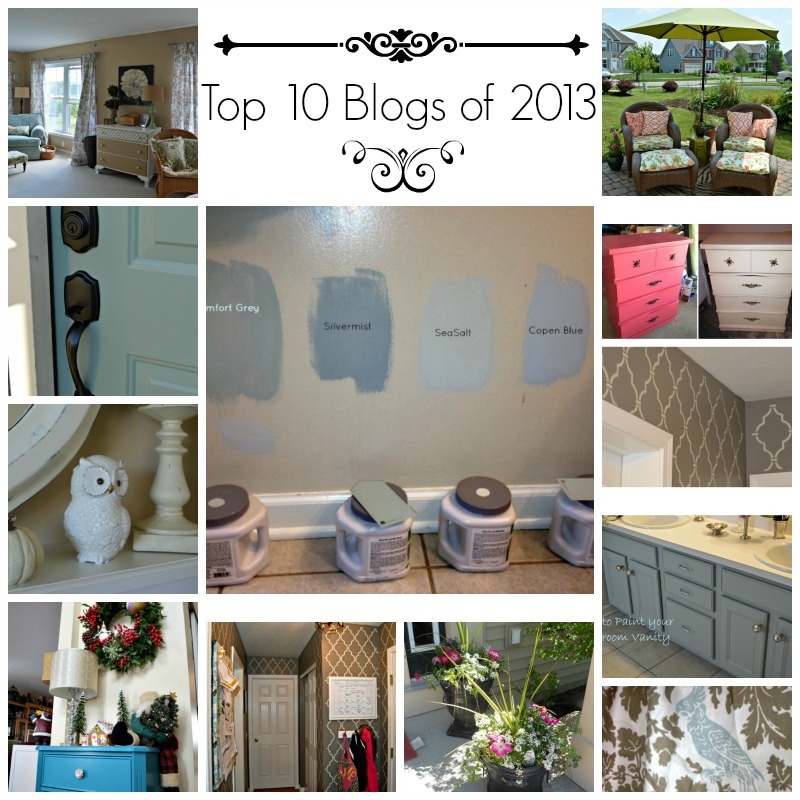 My Top 10 Blogs for 2013!!! A quick note of thanks for all of you for stopping by this little blog of mine!! 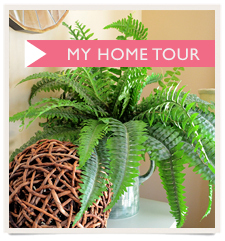 I have learned so much in the last 6 months or so and have so enjoyed sharing with you my adventures in DIY projects and decorating ideas!! Over the holidays we hosted both sides of the family for visits…and it was fun to see their reactions to all the changes the house has gone through over the last couple of months – from new paint colors, to light features, to stencils etc…the house has definitely gone through a great transformation and looking forward to seeing what will happen in the coming year….look out 2014. So here are the TOP 10 BLOGS from 2013, hold tight it has been quite a ride. The number one blog this year was the Metalic Fall Mantel we created. 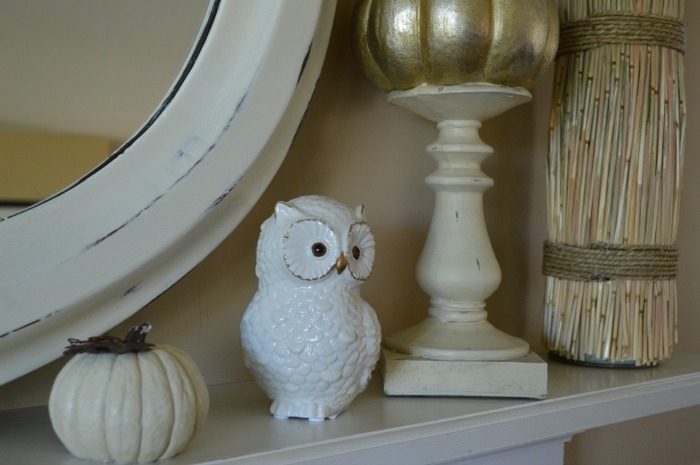 I love all the pieces and have kept that little white owl on the mantel through the Holiday season as well. My biggest surprise of the year was how many views I received from my post SeaSalt by Bathroom wall. 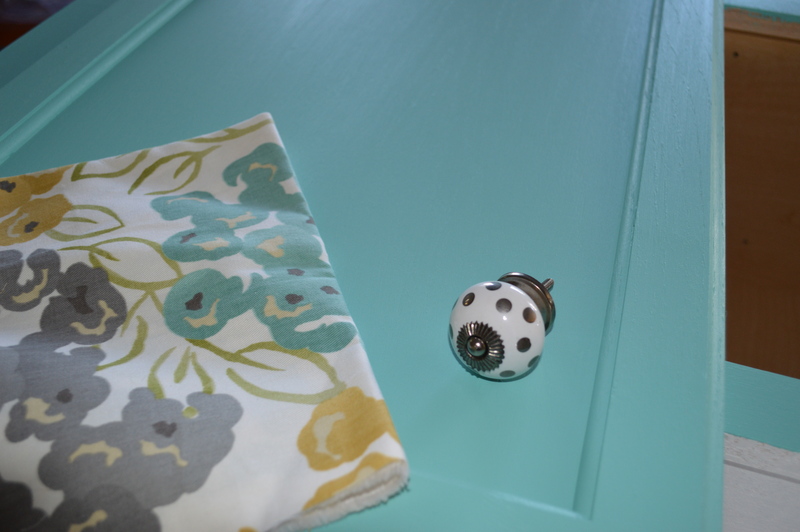 When I choice this color I had no idea it was Sherwin Williams color of the year! I just like the color swatch. This photo was my most pinned photo as well – when putting this together I was impressed with myself for adding all the text to the photo – but did not think it would cause the traction it did….that is what I love about social media – you never now what will trend. 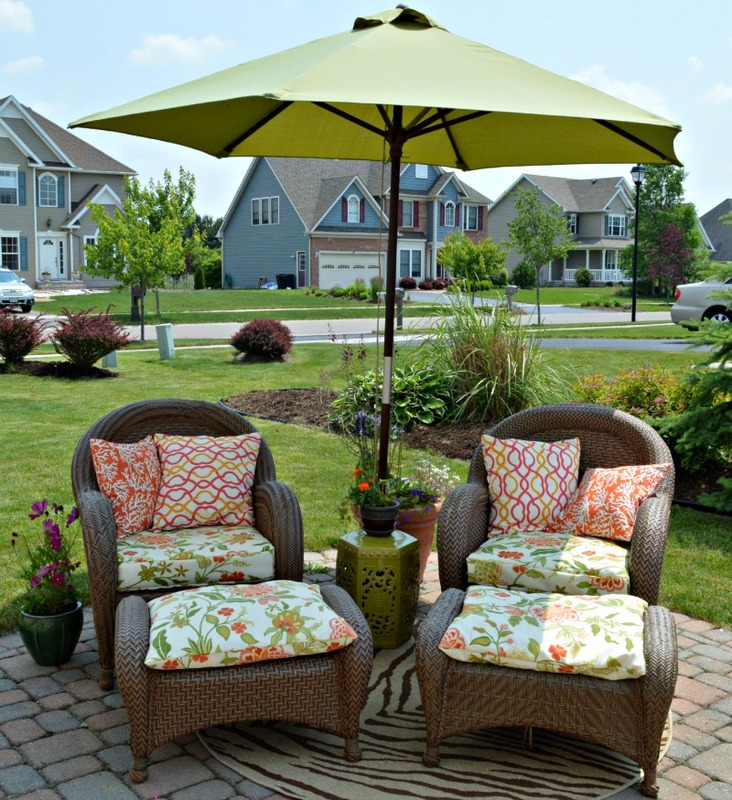 Third was our Patio Reading Nook – I so enjoyed putting that space together and so miss the summer and going out and reading in those comfortable chairs!! Looking forward to spring soon – I hope. Fourth was our Unexpected Curtain Update. 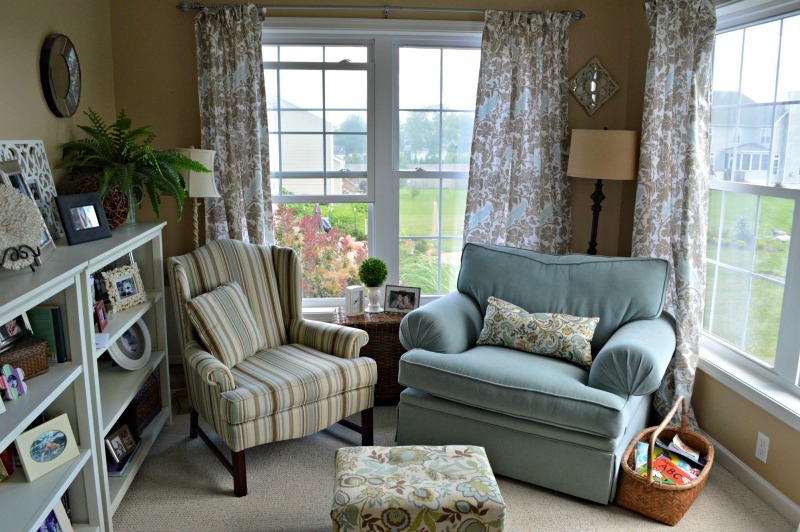 Again this was an impulse purchase and decision because I was not thinking of updating our curtains – but am so happy with how they turned out. I look at them every night and just love the color combination and texture it provides the room! Fifth we got into the Holiday spirit with our Merry and Bright post. Thanks for stopping by over this busy holiday season and taking our tour with us!! 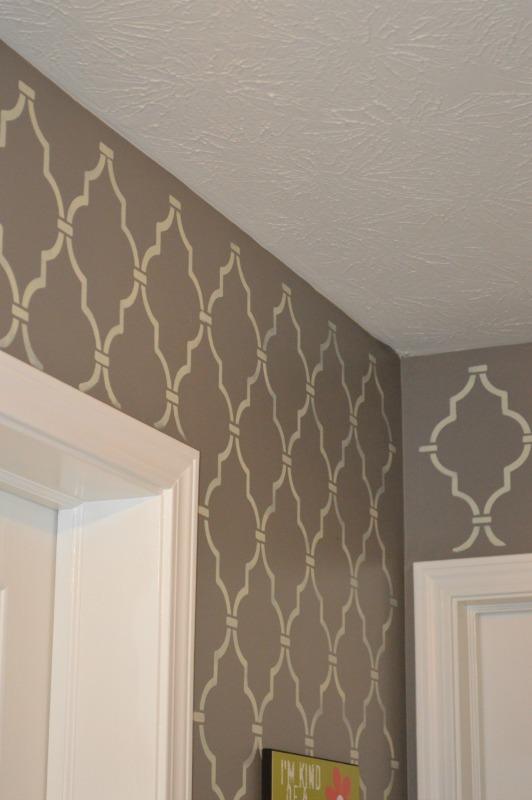 Sixth was my post about Conquering the fear of Stenciling – which I now love to do and have stenciled two walls now, and some furniture piece, I actually have to hold myself back from stenciling the whole house…. 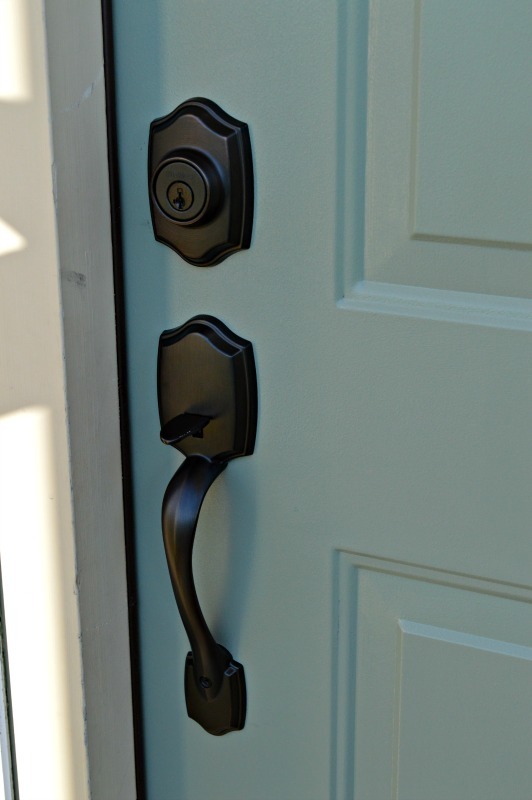 Our seventh, was the blog my Hubby wrote about updating our door’s hardware, Opportunity Knocks – if I only could write like him….It was funny when we had company over the Holidays, that was the first thing people said – love the new door! 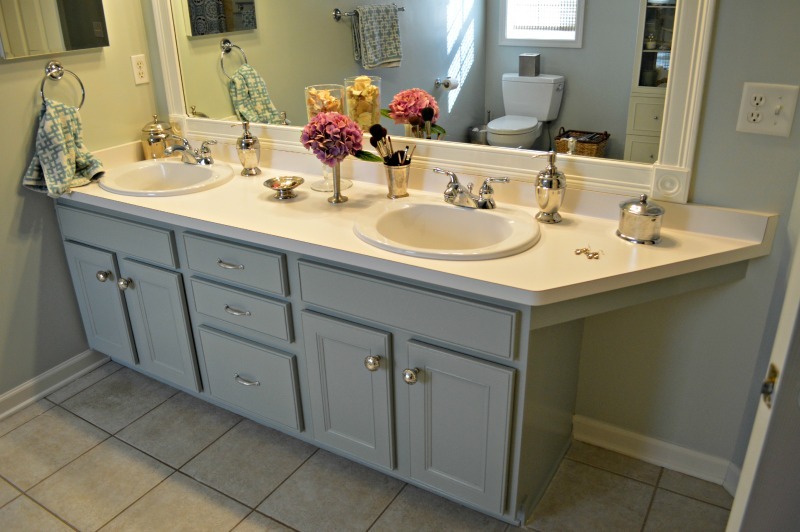 Number 8 goes to Oh the Vanity – 3 colors later…I have to be honest – I love our new bathroom – but I am still not 100% in love with the vanity – we will have to see what the coming year will bring to that space – grey might be making an appearance in the at area…my poor Hubby! Number 9 is my first DIY Weekly Round Up post where I feature my Watermelon dresser that I redid as well as my shabby chic mirror. 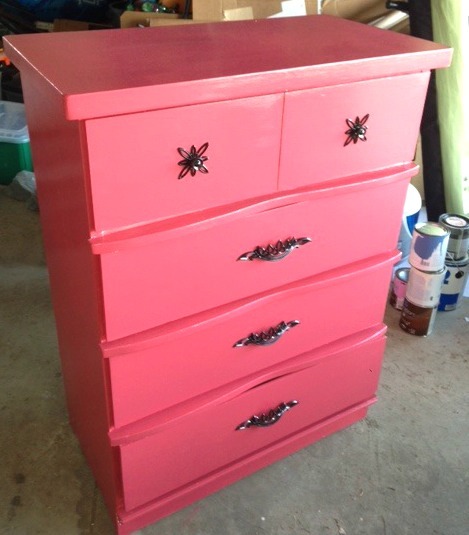 I have to say my 2nd most popular picture on pinterest this year was this dresser. My sister and I picked it up for $30 dollars and would have loved to kept it – I fell in love with the great detail and hardware on this piece! Finally number 10 went too Our English flower pots – boy were they beautiful. 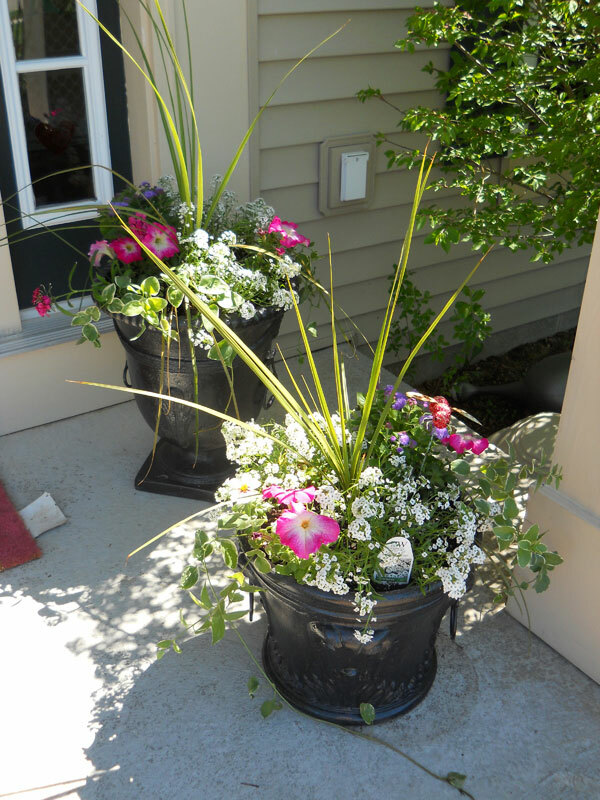 I so miss seeing them on our porch – right now we have cute little pine trees with white lights for the holiday season but looking forward to creating some colorful pots in the spring. So there you have folks are top 10 blogs of 2013!!! Where has the year gone – what is on your agenda for the coming year…I am starting to put together my 2014 to do list for around the house – I will have it up in the next week of so…so many ideas running through my head – can wait to get them on paper. 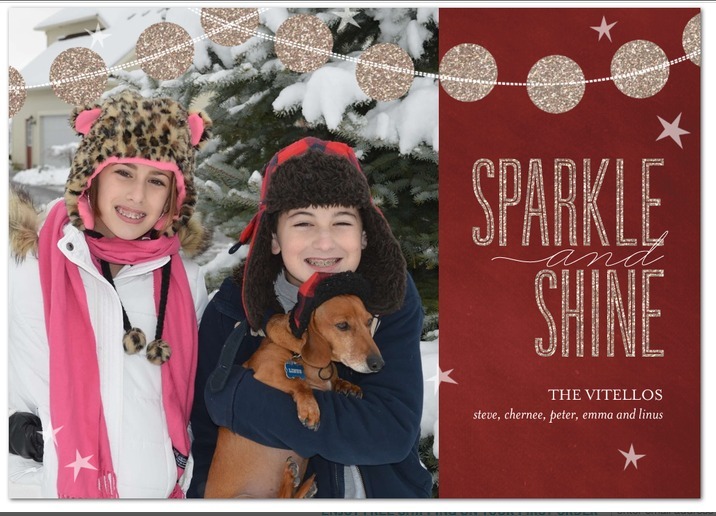 The True Magic of Christmas through your Children’s Eyes…. 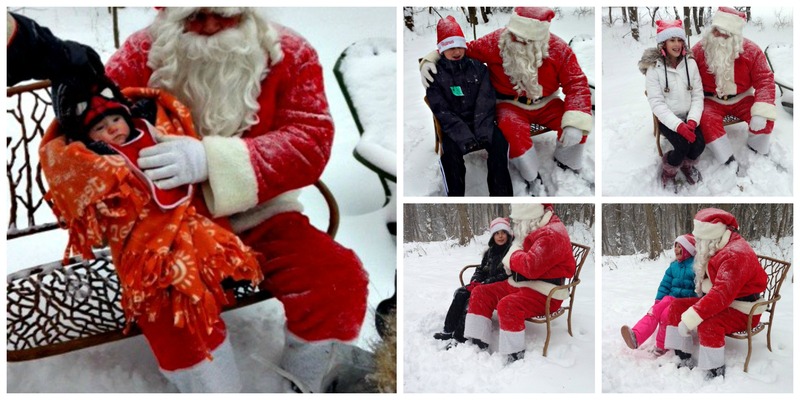 Do you remember what it was like as a child waiting for Christmas to come…seeing Santa and sitting on his lap? Or, hoping, just hoping you would get a glimpse of those famous reindeer? Now that we are adults it seems because of all the demands and pressures we put on ourselves (making the perfect cookies, buying all the gifts, attending all the events) that we are so tired we become resentful of the holidays vs. enjoy the true magic of the season. Do you know that feeling? I totally get that way. Well last week I got a reminder of the magic of Christmas. 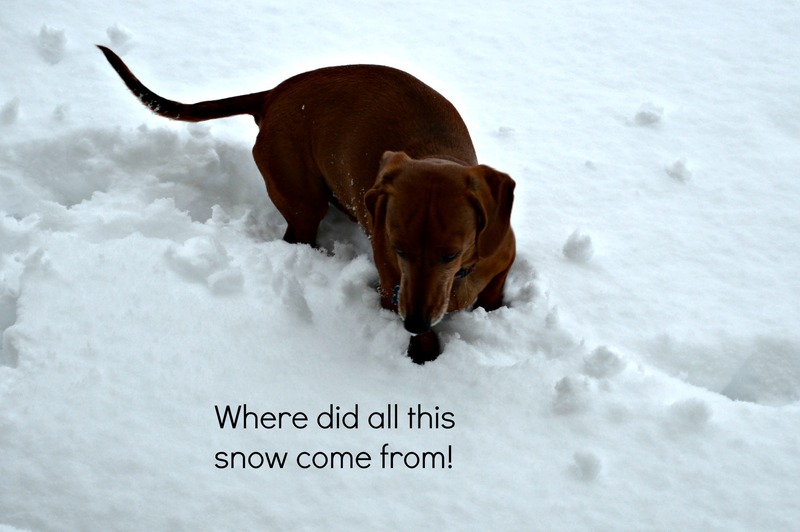 The last couple of years we have not been getting much snow but this year Mother Nature is sure making up for it and it has been snowing for most of December. Today was the first day it has not snowed. This past Saturday my parents made a request that all the family stop by the house promptly at 3:15 pm for a special visitor. Let me set the scene – I am the oldest of 3 children, my kids are the oldest grandkids as well, my younger sister’s kids are in the middle and this summer we added a brand new addition to the family, my brother and his wife had a baby. My son and Stu are 14 years apart…. 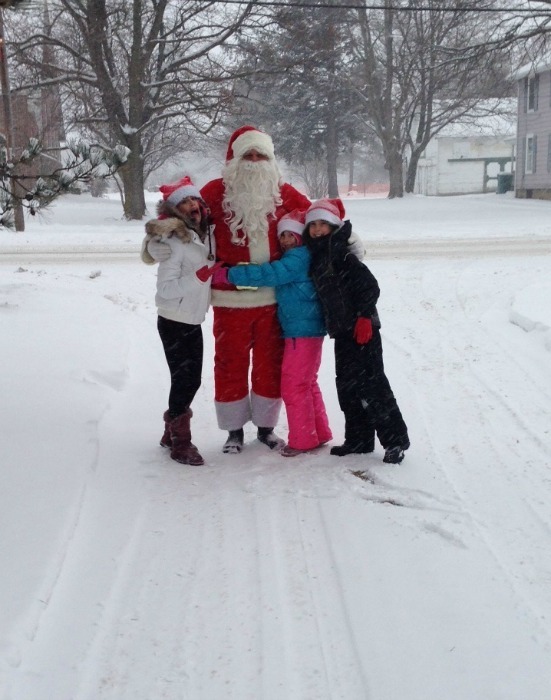 Anyway my niece who is 8 is still all about the magic of Christmas and a true believer while my two are over it…. So on that particular Saturday, we got a true snowstorm. By the time 3 pm came around you felt like you were part of a snow globe! The snow was coming down hard and the sky was really grey….but what did appear out of no where was a big man wearing a giant red suit….The way Santa just appeared coming down my parents snow covered, treed driveway was just beautiful – it was like we were in a black and white photo and Santa was the only one in color. 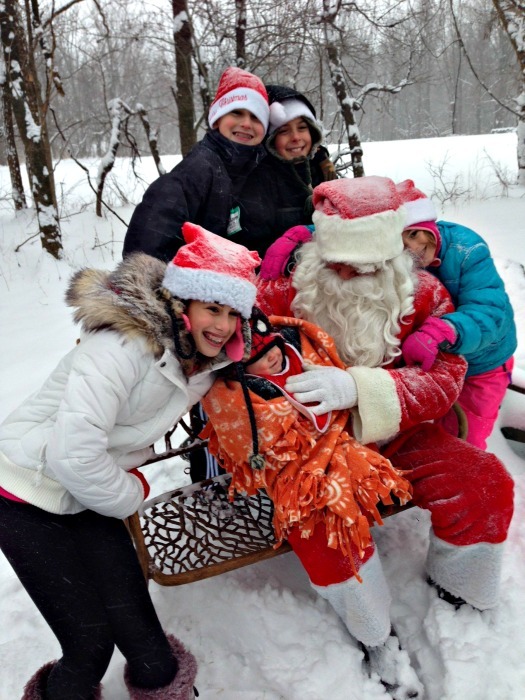 Gretta (the eight year old) just screamed for joy…I have this video of her running up to Santa for a big hug…It truly reminded me of what this season is all about. 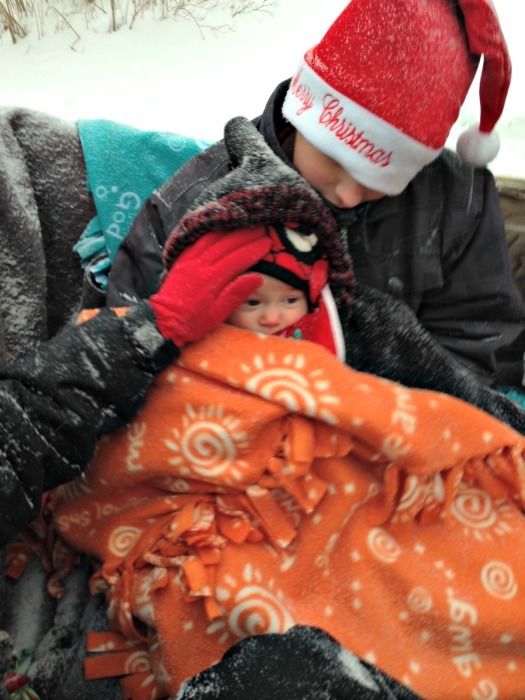 My parents love the great outdoors where I prefer my slippers and a nice fireplace, but we all followed my Dad, pulling Santa and kids in tow, to the pond in the trailer…It was so fun to see. Down to the pond we went and Santa sat on the bench and each of the kids shared with Santa what they are hoping for, for Christmas – even Stu got a turn but he was rather quiet!! Life needs those little magical moments to make you stop and see the true joy in the air, and make you realize it is not about what you have to get or left to do, it is about being with your family and standing in the snow and feeling the energy in the air. We only have a couple more days left to enjoy this time of year. I hope we all can slow down for a few minutes to really enjoy what is important. What stage of a project do you dislike the most? For me what I dread the most is prepping…to me it is a 4 letter word…..I would like to skip all the mudding, sanding etc. 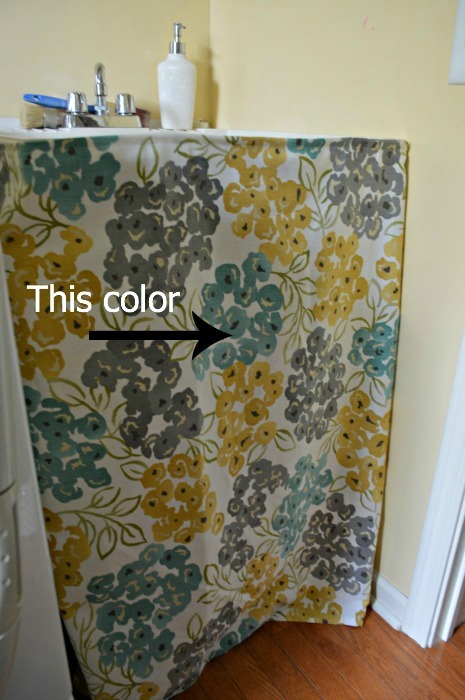 and just jump in and do the all the fun parts like painting or decorating the finished room! You can see I am a very patient person! I realized prepping is an extremely important piece of the overall process, but for me it’s like pulling teeth. 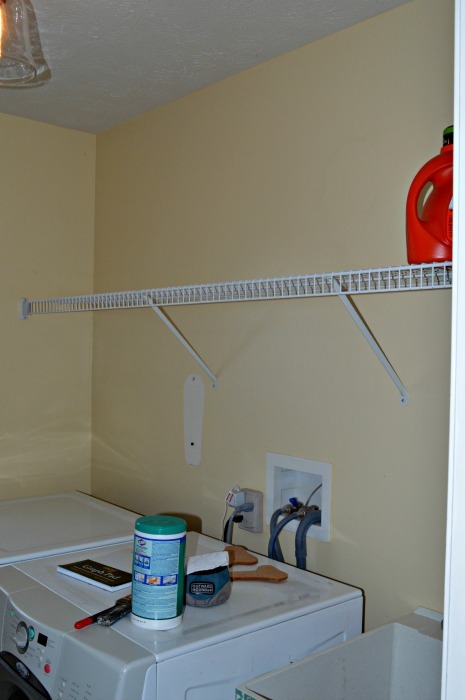 Our Laundry room project had a tremendous amount of prepping to do in many different stages. So here are the details, warts and all. 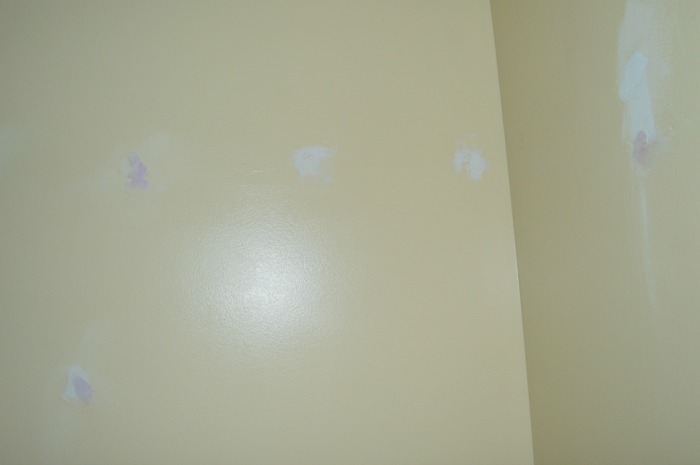 To start the project off we had to remove the white builder’s shelf they installed in the room. 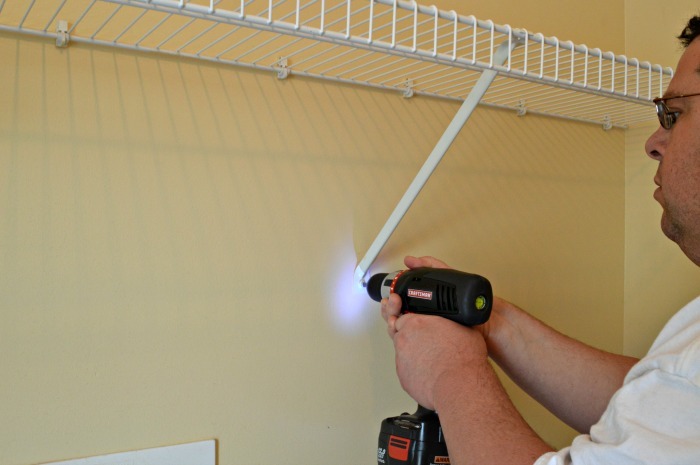 Boy, that could have been the most secure shelf installed in the history of mankind. I think they had about 20 screws into the wall, which I had no idea. So then came the many attempts to fill in the holes. 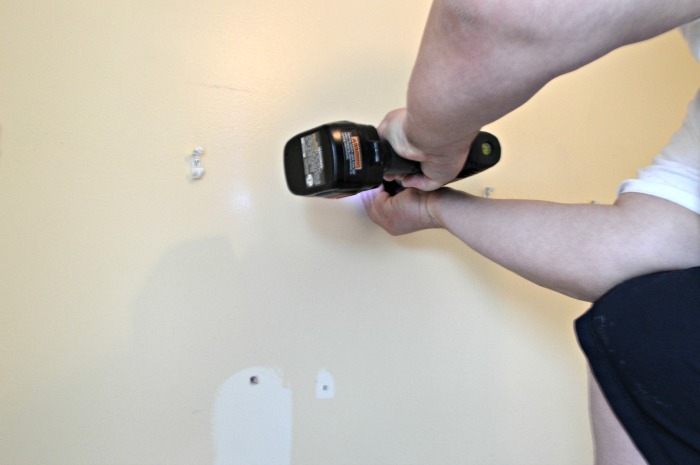 Now these were not little holes in the wall but divits, so it took about 3 layers of filling them in, sanding, and then repeating the step. Once the wall was finished. We purchased the cabinets. We decided to buy unfurnished cabinets that I found at HomeDepot. 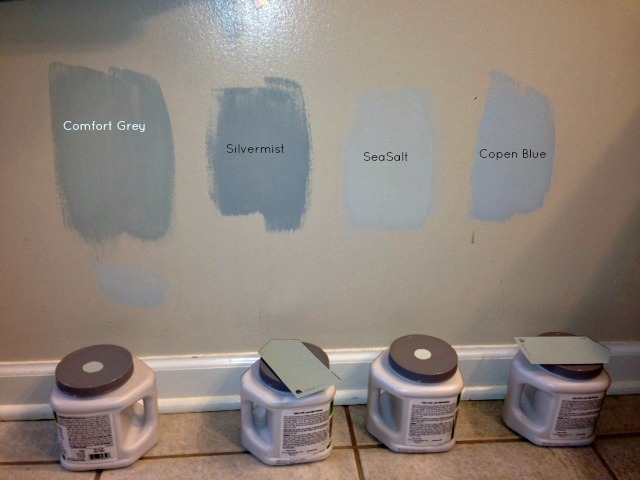 I decided to go this route since I was going to paint the cabinets anyway I did not want to invest in already stained or painted ones, though I liked the detail on them better. I also looked on Craiglslits to see if there were any used cabinets but no such luck. When we went to pick them up we noticed that one the sides that would face the center of the room had a crack in the wood, and a big crack at that. Of course these were the only two cabinets in stock at our location so we looked at the damage and decided that it would be an easy fix with some glue and a clamp. So we decided to buy them anyway – I don’t know about you – but that is always the way when you want to do something now; there is something wrong with the item, or it is out of stock. 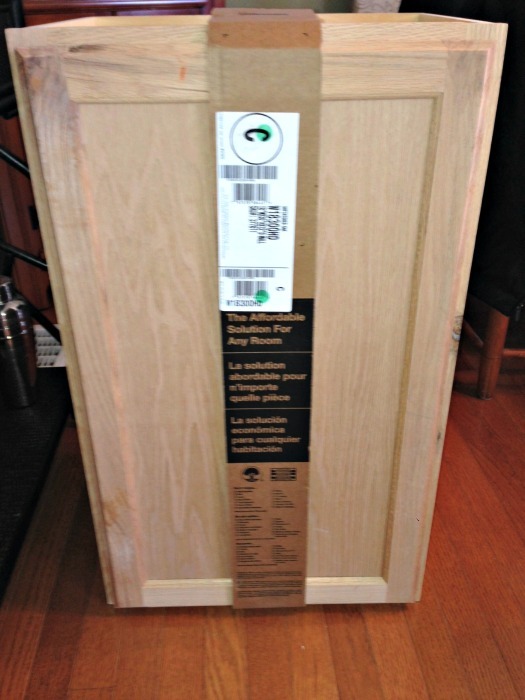 When checking out the cashier gave us the cabinet, which was 50 dollars, for 20 bucks off…so that was awesome. Thanks HomeDepot! 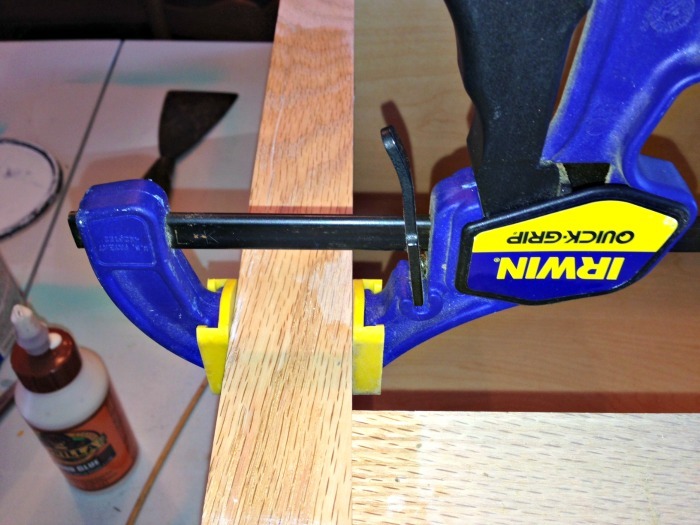 When I got home, I took some wood glue, and pushed a lot of the glue in the cracked area, then I pulled them together with a clamp and it was good to go and you would not even know that it was there. So I know that does not sound like a lot of prepping really – but for a small space it took a good couple of hours on a couple of days to get things done…In the meantime, I had to work on the kitchen table since the office was the catch all space for all the laundry supplies. But to be honest with you that is one of the things I love most about projects like these – it give you an opportunity to clean out all the items you have accumulated over the years that you just don’t need, like leather cleaner for the chair you got rid of 3 years ago…. What prepping have you been up to lately, or are you taking the next couple of weeks off for the holiday’s? One of my favorite parts of the Holiday Season and a fond memory as a child is getting our family Christmas tree. When I was little, December was a very busy time of year for my family, and I guess that hasn’t changed. 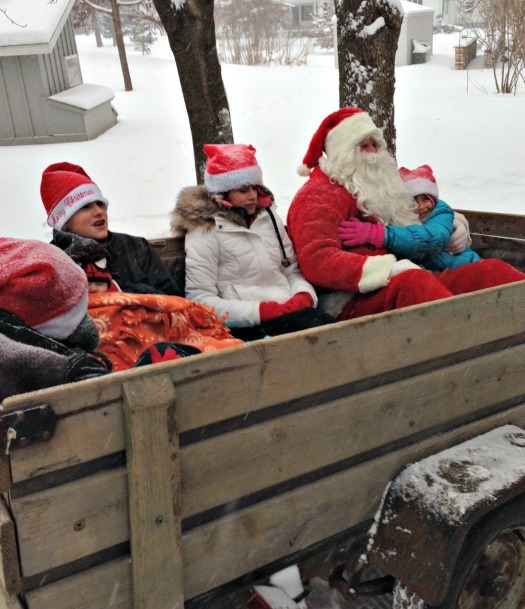 We would go to a local farm and pick out or tree and us kids would get a huge candy cane to eat on the way home. 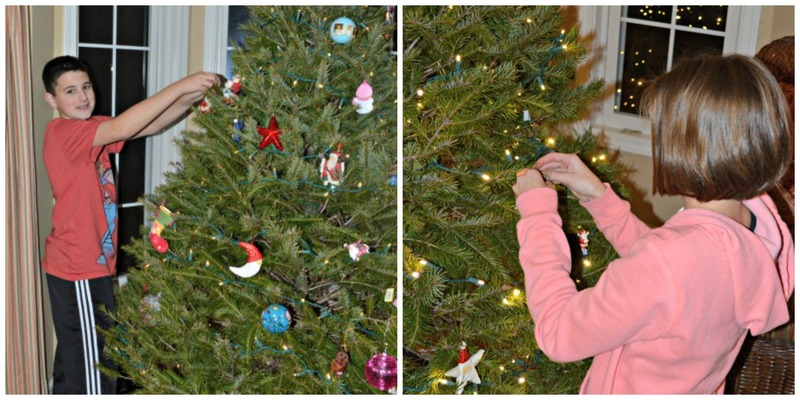 Fast forward to the present….we continue this tradition in my house now. 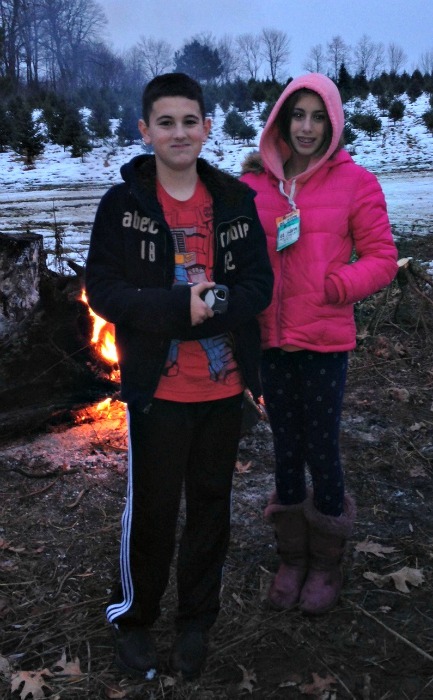 We used to go to a tree farm and cut down our tree, now that the kids are older, and I don’t really like the cold, we just go down the road to the local farm and pick out a pre-cut tree and have some coco, then the kid’s race into the house to see what St. Nick left for them…. 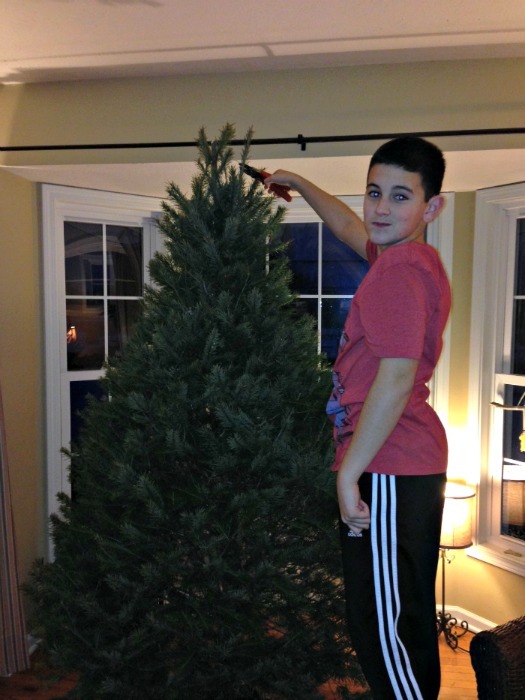 I have to admit this year we picked out our tree in 10 minutes or less, it was rainy and cold. Those are not two of my favorite things! The tree, at the farm, looked pretty round and solid. Once we got home the kids begged dad to set up the tree, and when I came into the room – I did scream “it is the worst tree ever!” Once home the bottom section looked really bare. Then Steve, who is patient about this because he knows I am on the quest for the perfect tree, did a little tree twirl all turned out ok…. So our tradition in our house is that the kids and Steve work on the tree….for me I hand out the ornaments and share the stories around each one….In my early twenty’s I started to get an allergy towards pine trees – which kills me because I like to make homemade garlands and work with greens – but if I even go near the tree, I react. 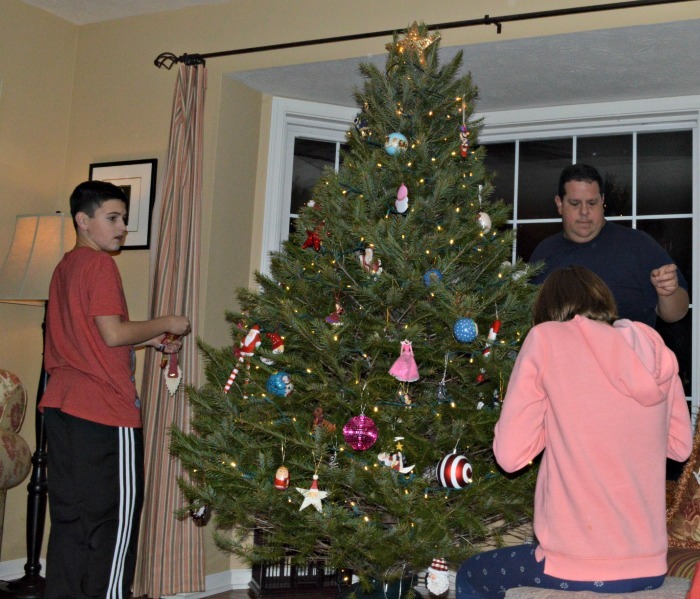 When Steve and I got our first tree – which I have to say was the perfect tree – we were living in Syracuse in a basement apartment right after College. We did not have any ornaments so I went down to our local Wegmans (do you have Wegmans? Just think Trade Joe’s and Whole Foods all wrapped into one) anyway all they had were Santa ornaments – and that started our tradition of having Santas all over our tree…I have to admit I was a little bit of a control freak about the Santas for a while, but now that the kids have a vote and the trees are getting bigger we had to expand our horizons. 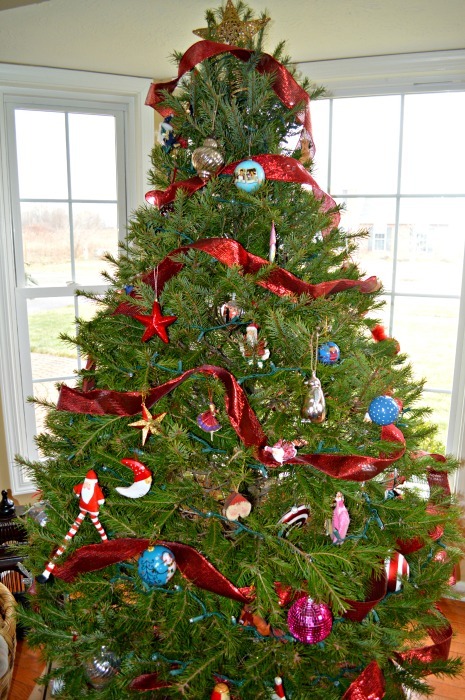 Do you have a real tree of an artificial? 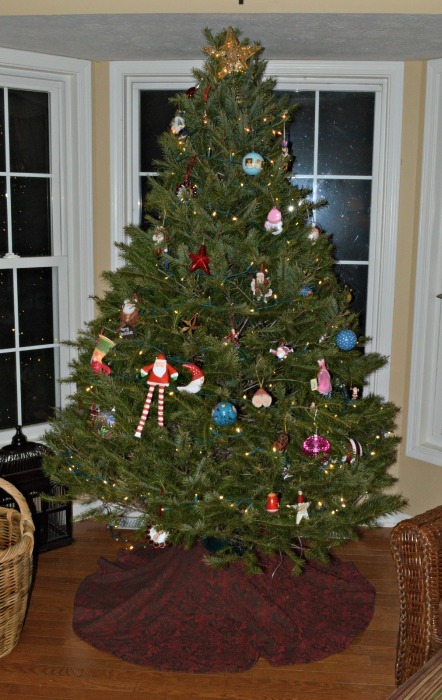 If it is an artificial tree, what brand do you recommend? If it is a real tree do you cut yours down, or go to a local stand? At night I love to sit by our fireplace and just stare at the lights – there is something peaceful about a lighted tree in your house! Welcome to our Home! I hope everyone is enjoying their Holiday Season! This year Christmas feels like it is too soon! I thought I would start our journey outside. This year we did a simple landscape of mini evergreen trees in our urns laced with little white lights. Our brand new nephew gave us our beautiful natural wreath – which is front and center. Every year we place our tree in our bay window, I love driving by and see the lights on the tree…. When you enter our home you are greeted by our cute little gingerbread house that our daughter made this year. 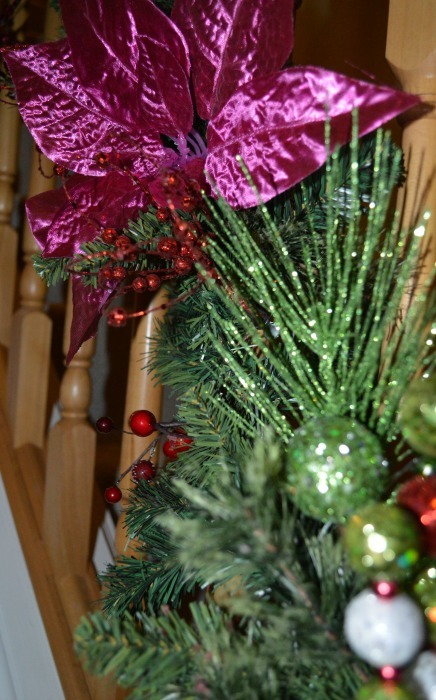 This was the inspiration for our use of color for our Holiday Cheer this year. 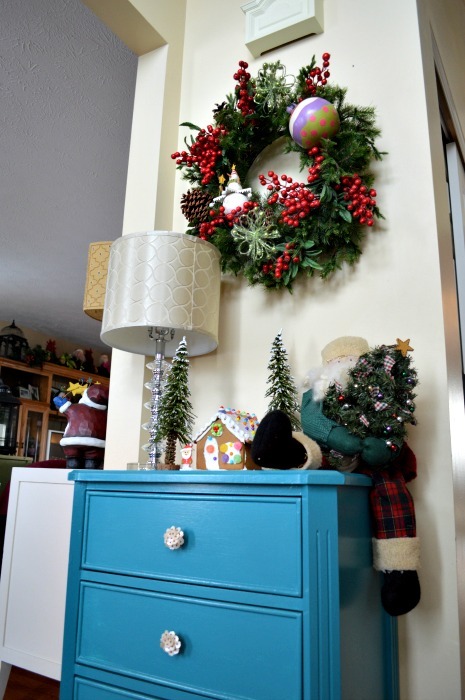 My original plan was to have a white and gold theme for this season, but when looking at Emma’s cute little house – we decided to bring on the color. 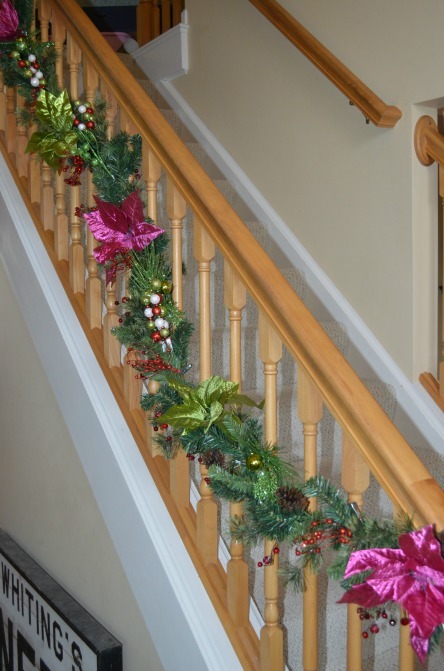 Last year when I had my office space I created some fun garland for the office that I used now throughout our home, since this was a big space I went with some fun colors, of pinks, lime greens and purples. So I decided to go with it and leverage those color schemes this year. Excuse the sign at the bottom of the picture, we are waiting for it to be placed in the right space over the holidays! You can then move into our living room which is an open space that we have divided into two zone, more of a seating area by the fire and then an area for us to gather to watch TV! I kept the holiday spirit consistent between the two areas. 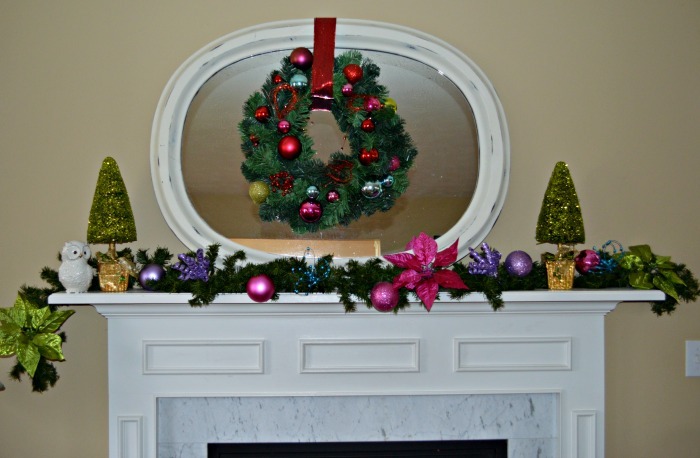 For our mantel I decided to keep the white mirror and layer it with a bright and cheery wreath. 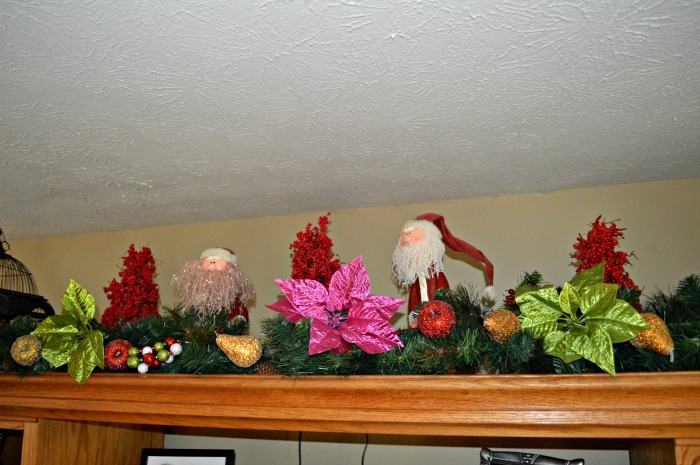 I added cute little lime green holiday trees and some nice purple, and pink ornaments to the garland as well as the bright poinsettia flowers as well. 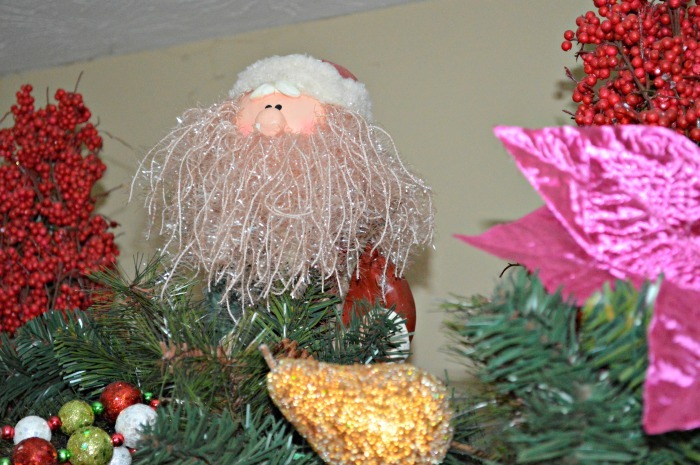 Our tree is filled with Santa’s we have collected over the years, this tradition happened by chance when my Hubby and I had our first tree and I went down to the local market and all they had were Santa ornaments on hand…Funny how things then just snowball. On top of our entertainment center we created a little Santa village with berry trees and sitting in a sea of garland. Thank you for stopping by our home this year! We hope you and your family have a wonderful Holiday season and a Happy New Year! I love getting the mail! I always have, especially during the Holidays. I enjoy seeing all the updated photos and reading what has been happening in people’s lives over the year. So this year I wanted to do something fun for our holiday card and kinda have a theme….We usually go back and forth and have one year with all of us and then the next with just the kids…. 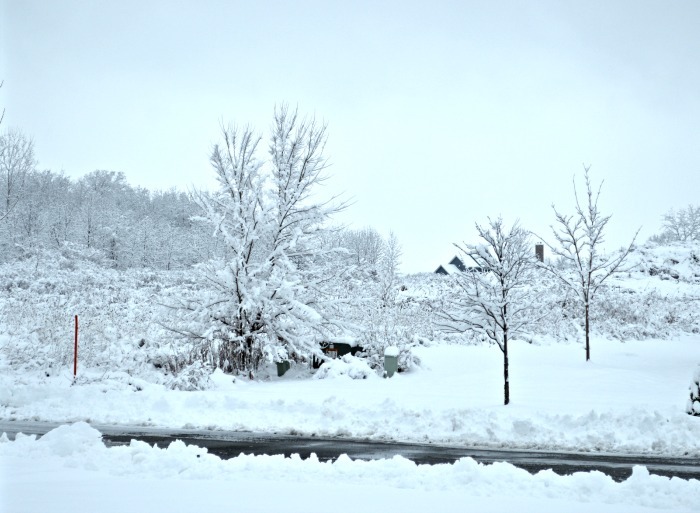 This year, the day before Thanksgiving, we got a snowstorm and woke up to 8 inches of white, fluffy looking snow. It looked like a winter wonderland outside and I thought this is a perfect day to take some photos for the Christmas card. Emma was dying to get out and play in the snow and while she was getting ready to go outside she put on her fun fur hat and the light went on…Let’s do a hat theme! I found Peter’s red check hat and we had a hat to match for Linus too – our family photo would not be complete without him – even though he drives me totally crazy. Let’s just say not everyone was excited about wearing the hats – the girls were in but the boys were not too thrilled. But out we went – screaming and all and we picked a pretty pine tree in our front yard that was covered in snow and took a couple of shots, before we all had meltdowns I clicked 5 shots and low and behold…I got a shot I could use. You are probably thinking that was the hard part. Not so. Here is the kicker. Later that day I was browsing for what holiday card to use and the Hubby was working next to me on his computer and decided to have input on the Holiday card this year…Normally Steve does not care at all and I handle it…but this year he had an opinion…and big ones at that – it took 4 tries and 3 different sites for us to finally agree on a card we like. The kicker is that the card we picked was the most expensive, we did have a 25% coupon and I think free shipping but still it was over budget by a lot. We went with Tiny Prints. I have used them before – I love a card with a thick stock… I have that for my business cards and get a lot of compliments on the feel of the card. Also, I love cards that have a fun print on the back. We decided to do the bling of the sparking bulbs for Emma – she loves anything with bling and the red tone of the card for Peter, which is his favorite color. So each child was represented with elements that reflected their personalities. Now comes the fun task of printing off the labels and the return address stickers and have an assembling party. 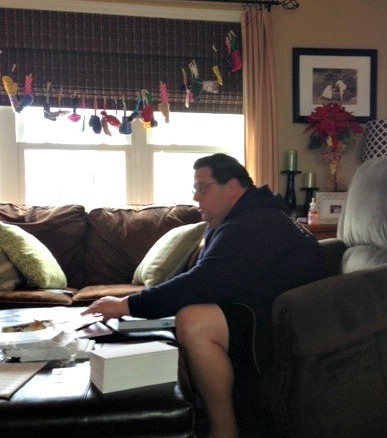 Here is the Hubby yesterday working on the Holiday cards – watching his team the Bills play – let’s just say at least the cards said sparkle and shine. Gingerbread, Gingerbread, Ginger all the Way…..
Hope everyone had a wonderful Thanksgiving and had an opportunity to spend some quality time with Friends and Family. My Mom hosted this year so all we were responsible for was the Hubby’s famous mashed potatoes (he whipped them up so smooth) and green beans. It was a great day and so enjoyed all the leftovers – I don’t know about you but I almost like the leftovers more!! Anyway, we are in full Holiday mode in our house. I thought over the next couple of weeks I would share with you a couple of the traditions we love throughout the years …. 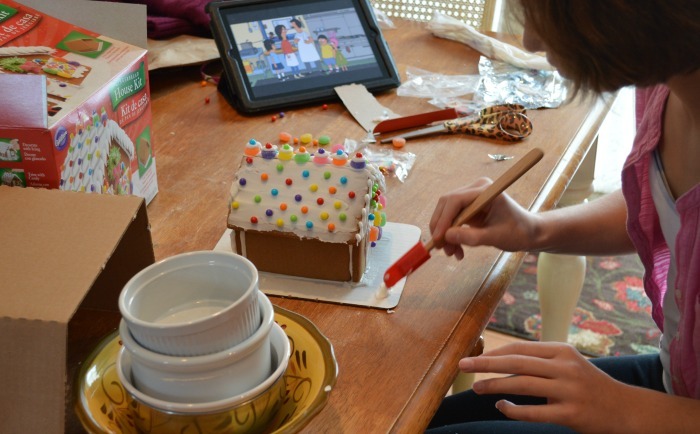 Our daughter Emma has always loved a gingerbread house and has put one together every year. So for the day after thanksgiving when we start putting out our Christmas decorations I thought it would be fun for Emma to put together her house. 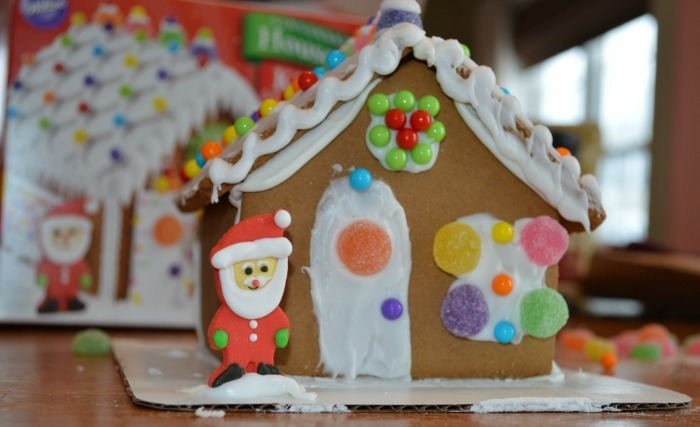 Some years she creates her own design and others she copies the box…this year she decided to replicate the image on the box – with the exception of the roof – the icing was too think…. 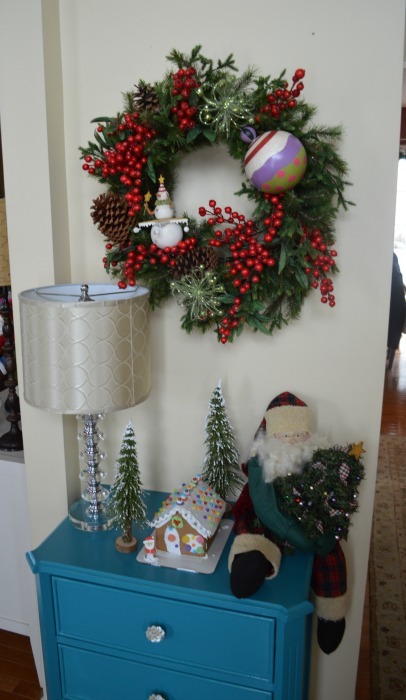 It took Emma about an hour to put it together, I love all the use of color and actually this inspired me to have our Christmas theme be about bright colors – verses the white and gold theme I was thinking of earlier…. 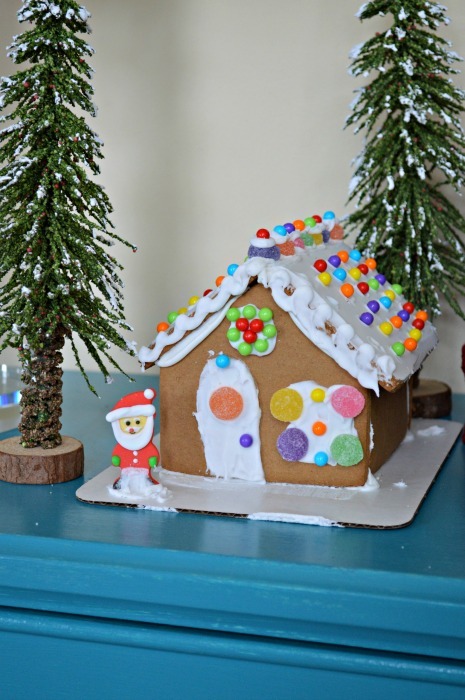 I decided to put the little gingerbread house in our entry way…I paired it with a couple of cute little snow covered spruce trees to look like it was sitting in a forest. 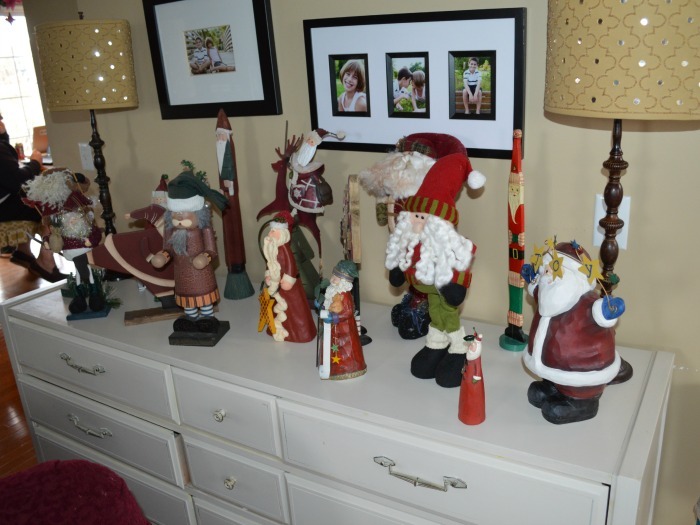 I then added one of my favorite Santa’s (we collect them) and one of my favorite holiday wreathes I bought when Peter was little. 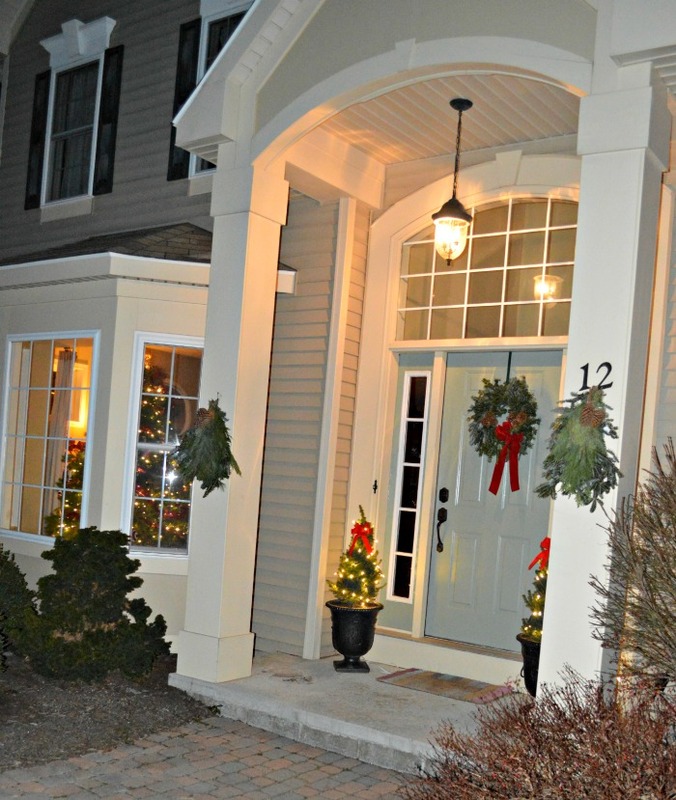 I love the fun ornaments on the wreath and I thought it would go nicely with house. 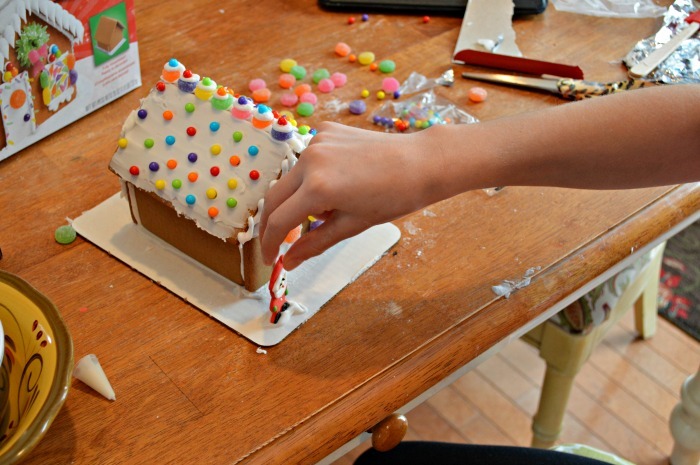 Now all we have to do is to keep Emma from eating the gingerbread house as well as all the yummy gum drops she used…..
Do you guys do a gingerbread house every years – what tradition does your family do to start the Holiday Season each year!